Samara begins from our place! 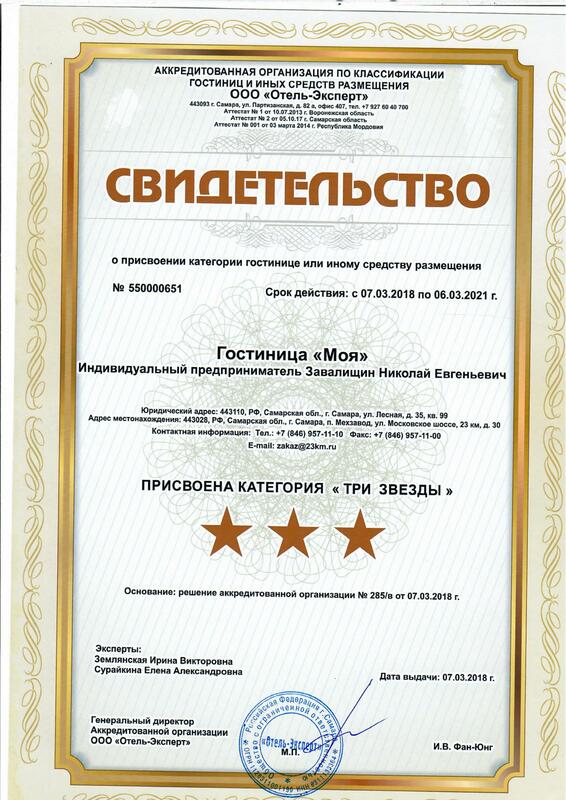 Cheap and comfortable hotel in Samara “Moya” is situated exactly at the city entrance point on the federal highway “M5”. The hotel offers convenient rooms for low rates. It is posssible to stay in the hotel with any document or ID, 24 -hours per day. The hotel location is ideal for businessmen and travellers. International airport “Kurumoch”, central railway station are within the distance of 20 kilometers from the hotel, bus station – 15 km. Just opposite the hotel there is a new indoor skating sport complex, and the biggest shopping malls of Samara “Mega” and “Moskovskyi” with the fitness club are only 5 km away, and karo film. City transport and taxi are to your guests service. Mountain ski resorts “Krasnaya Glinka” and “Sklon” are situated 15 km away from the hotel. Many celebrities were our guests, and a famous singer Yuryi Samarskyi composed a song “Hospitable “Moya” hotel” after staying at our place. 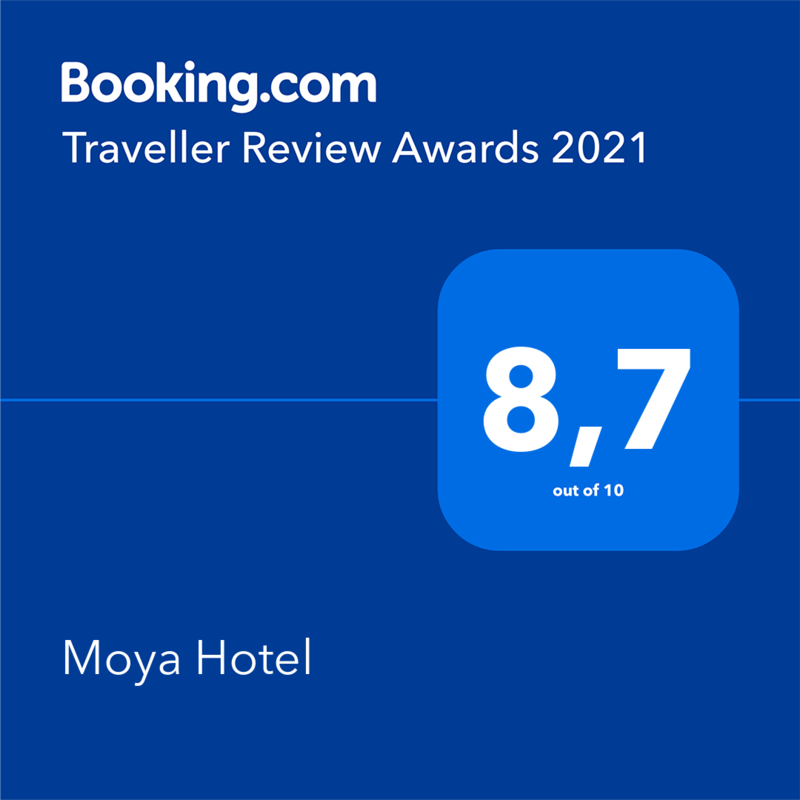 It is the best review of the hotel, listen to it at this site ! Two years one after another we accomodated the bards of the Winter Grushin festival. In Samara hotel “Moya” there are 64 rooms which are located in the main 5 -storeyed building and the separate single-storey motel. The main hotel building consists of comfortable rooms with all modern conveniences, “Prague” restaurant and banquet room “Hunting lodge”. Motel is a popular place for travellers by car along the federal highway “M5”. If you book a cheap room or a spacious suite in motel you will surely have a parking place for your car on a special parking with the vehicle shed. The accomodation with your pets is allowed in motel rooms (no extra charge). The guests can book different rooms - “Standart” (38 rooms), “Comfort” (13 rooms), Suite (13 rooms) or luxury suites which have ther own names - “Premier” , “Versace” and duplex “Bourgeois”. The named suites are equipped with sauna. All the hotel rooms have electronic locks, flat-screen plazma TV, DVD players, in suites there are unique transforming beds with control unit, jaccuzi, sauna. Wi-Fi access is free for all the guests , rent a DVD disc and Ipad Apple is also available, there is a big parking under video control. There is a separate guarded parking lot for the trucks on the hotel territory. The room rate includes “Buffet” breakfast in “Prague” restaurant with great variety of dishes for every taste. There is always something new in the menu, and the white vine is served for breakfast for you to drink as much as you can. For the permanent clients there is a syslem of discounts -after the sixth stay the guest will receive the card of VIP client for the discount of 25% for all the rooms categories for next arrivals. Are you looking for a budget hotel with convenient location? 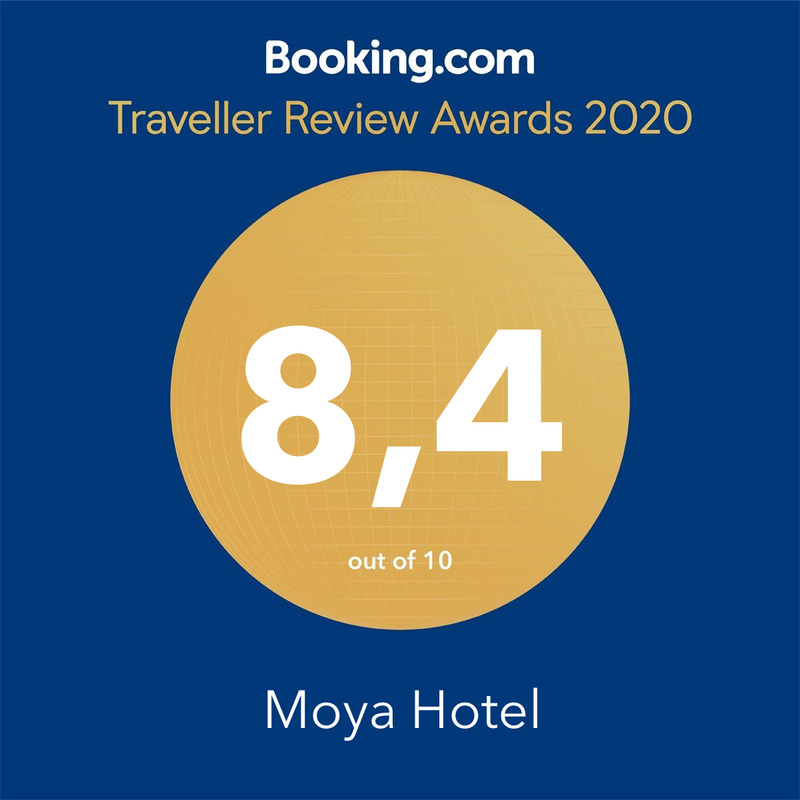 Book a room in hotel “Moya”! We will do our best -you will like it!